There was some disconcerting news that came out from Milwaukee Brewers outfielder Ryan Braun on Sunday which could call into question his readiness for Opening Day. Braun admitted Sunday that he will not be 100 percent for the start of spring training as he recovers from invasive back surgery last fall which no doubt is sending out some alarms as fantasy baseball drafts get set to get underway. Braun comes off a nice comeback season in 2015 when he hit .285 with 25 home runs and 24 stolen bases before he went under the knife but at the age of 32, his body is continuing to betray him. The fact that Braun is 32 is somewhat surprising since it doesn't seem like he has been around that long but this helps to explain the increasing rate of injuries, along with the fact his past PED usage no doubt is also a major factor. With Braun at less than 100 percent for the start of camp, there is at least the chance he won't be ready to go for Opening Day but that is if he suffers some sort of setback over the next few weeks. As far as what Braun could do with his production this season, his days of hitting .300 are over as that ability vanished when he got off the PED's. While it was nice to see Braun run as much as he did in 2015, banking on a repeat of his 24 steals with a gimpy back is also not likely to happen. Again off the steroids, Braun is no longer a 30 home run hitter and overall he is on the border of OF 1 territory given the health woes and slightly diminished statistics. It can be a major headache to own Braun given all the maladies he suffers and so we always prefer to go with a less volatile player in his draft range. The back issue just compounds this mode of thinking for the arriving season. 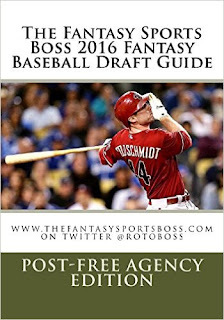 PURCHASE YOUR POST-FREE AGENCY DRAFT GUIDE USING BUY NOW TAB BELOW! The 2015 fantasy baseball season was not unlike any other when it came to the massive explosion of top tier talent at the third base position. after third base became littered the last few years with aging and declining players, the 2015 campaign brought forth insane youthful production from the lieks of Kris Bryant, Manny Machado, and Nolan Arenado who joined top veterans Todd Frazier and Josh Donaldson. However going a bit deeper, another name came forward with very intriguing production at a very young age in Philadelphia in the form of Maikel Franco. While not having near the blockbuster numbers of the guys written about above, Franco more than opened a few eyes in 2015 when at the age of 23, he proceeded to go out and bat .280 with 14 home runs and 50 RBI in just 335 at-bats. Having a screen in Philadelphia in terms of a lowered draft price due to how terrible the team is, Franco is shaping up as a very good sleeper candidate who could be primed to joined the Arenado's, Machado's, and Bryant's of the world in 2016. As far as the history of Franco is concerned, the former undrafted free agent signee out of the Dominican Republic quickly became a much-talked about prospect in the minor leagues on the strength of his power numbers. In 2013, Franco slammed 31 total home runs at Single and Double-A and then followed that up with another 16 bombs in 2014 while batting .257 at Triple-A. While the average was a bit low, Franco's power was more than a little interesting and an unlucky .276 BABIP that year portended to better things ahead with the average. The Phillies have Franco a very late-season look in September in 2014 but Franco was not ready as he hit just .170 with zero home runs in 16 games. Fast forward to 2015 and Franco began the season tearing the cover off the ball by hitting a scorching .355 with 4 home runs in just 33 games which forced the Phillies to give him a look. While he did miss time with injury, Franco kept on hitting as he hit cracked 14 homers with the 50 RBI and .280 average in 80. Franco was very impressive to say the least and his advanced numbers all checked out nicely which hinted at more to come as far as his offensive production. For one thing, Franco's 15.5 percent K Rate was tremendous for a rookie at the major league level and he added the double bonus of walking in 7.8 percent of his at-bats. Combined together, that will help Franco become a .300 hitter real soon. Franco also hit 22 doubles which means there is more power on the way that could have him eventually threatening 30 long ball which will be helped in the launching pad in Philly. A .297 BABIP was right smack dab in the neutral zone which means Franco's 2015 season was almost completely legit. When you factor in that Franco will turn just 24 in August, there is a bunch of growth years still ahead of him. When you look toward he 2016 fantasy baseball season, the suddenly insane prices attached to Bryant, Arenado, Machado, and Donaldson makes Franco stand out even more as a bargain. There is a very good chance Franco could come close to 25 home runs and 80 RBI with a nice average for a draft price that could be 5--7 rounds cheaper then the guys mentioned earlier. The signs are all positive here and going nicely in the right direction. Get on board. It has been a complete firesale for the Milwaukee Brewers this winter, having decided to completely tear the team down after a horrific 2015 season. Having already moved closer Francisco Rodriguez and first baseman Adam Lind, the Brewers on Saturday shipped out disappointing shortstop Jean Segura to the Arizona Diamondbacks in a deal that brings back fading veteran second baseman Aaron Hill and starter Chase Anderson. The bigger story of course is what this does for the arrival timeline of top Brewers shortstop prospect Orlando Arcia now that the spot has been vacated. As we always do, let's take apart the deal and look into from a fantasy baseball angle. Jean Segura: Way back in 2013, it looked like Jean Segura was the next superstar fantasy baseball shortstop. Blending a .300 average with some pop and extreme speed, Segura was a guy we all wanted staring back at us when perusing our rosters. For the first half of that breakout 2013 campaign, Segura hit .325 with 11 home runs and 27 stolen bases which were near-first round numbers on its surface. The good times didn't last though as Segura struggled badly in the second half to the tune of a .241 average with 1 home run and 17 steals. "He was tired" was the explanation as Segura went through his first full major league season. Surely he would be back to his rise to stardom in 2014. As a result Segura was drafted very early in the leadup to 2014 amid continuing sky-high expectations. This is where the story goes sour though as Segura was a disaster as he hit a pitiful .246 with 5 home runs and 20 steals. With his K rate rising and showing little to no patience, it looked like opposing pitchers had gotten a book on Segura and were exploiting some pronounced holes in his swing. 2015 was a bit better as Segura hit .257 with 6 home runs and 25 steals but it was still below expectations as the 2013 became nothing but a memory. Now Segura has been shipped out of town and gets a fresh start in Arizona. On the surface this could be a good thing as a fresh start can jump start a struggling player an Segura is still young at just 25. However Segura carries mostly NL-only value as he has zero patience and continues to struggle with the bat. A rebound is possible and again Segura is still quite young so don't give up on him entirely just yet. Chase Anderson: The Brewers get some rotation filler in 28-year-old Chase Anderson who comes off a 2015 season where he pitched to a mediocre 4.30 ERA and ugly 1.30 WHIP. With just 11 Ks in 152.2 innings, Anderson is barely even worth using in NL-only formats. Aaron Hill: By now Aaron Hill is nothing but a name as his bat has gone completely cold as he reaches the end of the line in his career. Once a decent power hitter at a shallow second base position, Hill can be largely ignored. Jonathan Villar: At least for the start of the 2016 season, Jonathan Villar will man shortstop for the Brewers. The former failed Houston Astros prospect has always had big time speed that many thought would lead to a decent amount of stolen bases at the major league level but he simply could not hit a lick with the Astros. However Villar hit .284 with 7 steals in 116 at-bats last season and still has the wheels to help there if he can get on base. Still he is just an NL-only option as Orlando Arcia will be up very soon. Orlando Arcia: The most interesting aspect of this deal is what it does for the arrival of top shortstop prospect Orlando Arcia. With nothing but Villar keeping shortstop warm and the Brewers going nowhere, Arcia could be up in late April to show off his massive talent. He hit .307 with 25 steals last season at Double-A which shows what he is capable of in the majors. Think more Francisco Lindor here than Carlos Correa as Arcia does not have a bunch of power yet and will be known more for his average, runs, and steals. However Lindor shocked with his power at the major league level last season as a rookie and Arcia figures to grow there as he matures. Get him on all of your cheat sheets. The Milwaukee Brewers continued their firesale on Saturday, with their latest move being to ship shortstop Jean Segura and RHP Tyler Wagner to the Arizona Diamondbacks as part of a four-player deal. In return, the Brewers get second baseman Aaron Hill, starter Chase Anderson, and SS Issac Diaz. The move likely opens the door to an early season promotion of top Brewers shortstop prospect Orlando Arcia. Analysis: Segura has been a disaster the last two years after a tremendous breakout 2013 campaign where he looked like the next Jose Reyes. He has some NL-only appeal but nothing more. Meanwhile Hill has been a joke the last two years as well as he is now in the twilight of his career and is just a filler option at second base over the bland Scooter Gennett. While Jonathan Villar will man shortstop for Opening Day which makes him a bit intriguing due to his steals potential, the watch has already begun for Arcia to debut. On the heels of our very positively received first OVERRATED/UNDERATED post of the season, let's go right back to the outfield well for today's subjects. Today we go back to the outfield well and look at two Pittsburgh Pirates teammates in the form of annual first round MVP candidate Andrew McCutchen and his less-heralded but increasingly potent counterpart Starling Marte. With McCutchen once again being a lock for the first round in fantasy baseball drafts this season despite coming off a somewhat disappointing 2015 campaign, Marte meanwhile gets a bit overshadowed by his outfield mate despite having just as good numbers. Let's focus in on this a bit deeper. So when you compare the two, PLAYER B has outperformed PLAYER A in four of the five standard ROTO categories by a decent margin, with steals being the only category where PLAYER B wins handily. However consider the fact that PLAYER B being Andrew McCutchen is a top five or so draft pick in annual fantasy baseball leagues while Marte has come in with an ADP around the late third round/early fourth. Also consider the fact that McCutchen is two years older then Marte and already looks like he has peaked. McCutchen has leaked stolen bases the last few seasons and at 29, it is likely his days of being a big helper there are through. Marte meanwhile is 27 and still has a season or so of ceiling left before he too tails off. It is possible Marte adds a bit more in the home runs and RBI department, while beating McCutchen easily in steals and being quite competitive in runs and average. So in essence Marte is the better buy worth waiting on in drafts this season as you pass on McCutchen and fill in with a slugging first baseman, a Carlos Correa, or a Jose Altuve instead. This would be the better plan of action in your draft this season. Spring training has not even begun and we already have our first injury to discuss. It was revealed by the team yesterday that Oakland A's catcher Stephen Vogt underwent successful arthroscopic surgery on his right elbow which will keep him sidelined for 4-6 weeks. A bone chip was removed during the procedure and Vogt will now miss the first few weeks of spring training as he look to build off a very solid full year debut with the A's in 2016. At this point however, Vogt should be ready to go for Opening Day barring any setbacks. As far as last season was concerned, Vogt rode a very hot first half when he hit .287 with 14 home run to finish with top 5-7 numbers behind the dish. Yes Vogt crashed and burned under the weight of the long season behind the dish in the second half when he hit .217 but Vogt should be more ready to deal with the rigors this time around. A late bloomer at the age of 31, Vogt should be able to repeat or come close to the 18 home runs and .261 batting average he accumulated in 2015 which would make him a catcher 1 yet again. Yes the always frustrating and annoying shortstop position is up next as we continue our Draft Primer look from around the game in terms of identifying the players we would draft and those we would avoid. DRAFT PLAN: We have said for years to avoid the top but flawed talents at shortstop and for good reason and we stand by that assessment for 2016 with the exception of one guy. Of course we are talking about the crazy talent that is Houston Astros shortstop Carlos Correa who we would break our OF/1B plan for the first two rounds to take. Correa will require a first round pick and his insane numbers make him well worth that plan of action. Outside of Correa though. we once again preach mid-round value plays. Carlos Correa: Duh! Already a first round talent despite playing less then a full season in the majors, Carlos Correa is a scary guy in terms of how much better he can get. This is a guy who could hit 30 home runs, score over 100 runs, drive in 100 batters, steal 20-plus bases, and hit well over .300. In other words a potential Mike Trout challenger for the 2017 top spot. Yes we would do cartwheels to get him in Round 1. Corey Seager: Thinking the hype will put Seager out of reach but we still love the massive potential of this Dodgers farmhand. While Seager doesn't have great speed, he is a tremendous pure hitter with developing power that could take off at a moment's notice. Yes please. Starlin Castro: While he will play second base for the Yankees, Castro retains shortstop eligibility for one more season at least. Yes his numbers have left a lot to be desired the last few seasons but a change of scenery could be what Castro needs to be a top end talent again. With the draft price now quite affordable, we want to find out. Jung Ho Kang: Really impressed with what the Korean import Kang did once he found his footing in the majors last season. A devastating injury will have him on the shelf possibly until May but that will make his draft cost even more cheaper. Big time power here that could result in 25 home runs soon enough. Ketel Marte: Not much is being said about this kid but Marte has 30-steal potential with the chance to hit for a good average if he can claim a starting spot this season. The strikeouts are a bit high but Marte is your classic very late round upside play. Troy Tulowitzki: For like the millionth season in a row, we are telling you all to avoid drafting Troy Tulowitzki this season. His injury-marred past is well documented but 2015 now saw Tulo's usual stellar numbers slide by more then a little despite playing in two prime offensive parks. Serious hip surgery and more age could be conspiring with regards to stealing numbers from Tulo and that makes even him even more of a risk for 2016. Jose Reyes: While Reyes remains a decent player, his steals continue to slide, he is always hurt, and now he is in trouble with MLB after being involved in a domestic issue. It is now time to move on for good. Ian Desmond: Was shocked to see how poorly Desmond hit last season in the face of a contract push but his strikeouts have been getting out of control for a few years now. Combine an ugly average with a sudden decrease in stolen bases and Desmond is now looking like old news. Elvis Andrus: I really don't think we have to go through this annual punching bag of ours again. Andrus has been criminally overrated for years with sliding steals and ugly counting numbers such as home runs and RBI. Jhonny Peralta/Brandon Crawford: I put Peralta and Crawford together as I don't like having no speed from my shortstop spot. You want to have as many steals as you can get from your middle infielders and these guys are as opposite of this approach as anyone. Updating an earlier item, the Los Angeles Dodgers re-signed second baseman Howie Kendrick to a two-year deal worth $20 million. Analysis: Kendrick is one of the last "name" players off the board in free agency and he will now be the primary second baseman for the Dodgers this season where he can build off a .296 debut campaign with the team in 2015. Kendrick has proven he can be a help in all five standard ROTO categories without lighting any of those columns up. He remains a prime value play at a shallow position where the price for the top guys will be very high. Los Angeles Dodgers catcher Yasmani Grandal is ready for full participation in spring training activities as he has recovered from AC surgery in his shoulder. Grandal is slated to be the everyday catcher for the Dodgers this season and barring any setbacks will be ready to go Opening Day. Analysis: Grandal has always been interesting and also a bit of a riddle to us. He came up in the minors as a .300 hitter with little power and has reversed that trend in the majors. If Grandal can blend the two, we could really have something here. Looking at those numbers, Bryant finished as a top four fantasy baseball third baseman at the age of 24 and positioned himself for blockbuster Bryce Harper/Mike Trout numbers going forward. As a result, Bryant is already being highly fought over once again and his current ADP has him as a second round draft pick. With expectations on a massive scale, we here at the Fantasy Sports Boss want to throw a bit of cold water on the hype. While we absolutely think Bryant is a future stud and monster overall player, the 2016 season may not be the full launching pad many expect. Let's discuss why. When one takes a closer look at Bryant's 2015 debut, there is no debating the terrific numbers he put up as a rookie. However when one digs deeper, there were some alarms worth discussing. The biggest was the fact Bryant struck out an insane 199 times in 559 at-bats which comes out to a K/9 percentage of 30.6. That is a massive number and it was amazing Bryant was able to even hit .275 with so many whiffs. That brings us to the fact Bryant was LUCKY to hit .275 due to an extremely fortunate .378 BABIP. In fact Bryant's .378 BABIP is about as high a lucky number as one hitter can get and if it were in the neutral territory, we would be looking at a .250 hitter. There are some gaping holes in Bryant's swing which needs to be fixed and while he figures to get better as he gains more experience, it could prove to hurt him in 2016. Bryant needs to make better contact or else his average will really hurt you and take some value away from the power. Now on the plus side, Bryant has amazing natural power that portends to a future 40 home run guy. In fact it would not shock me in the least if Bryant came close to 40 homers and 115 RBI this season. The kid can also run a bit as Bryant's 13 steals last season could attest. While we don't envision Bryant as a 20-steal guy, we do think 15 or so is very likely which makes him a bit weapon in fantasy baseball. However keep in mind he is not a finished product just yet. The average and strikeouts need work. When you put it all together, we still think Kris Bryant is worth a second round pick but just keep your expectations somewhat in check. The talent is very obvious but Bryant has work to do. The Los Angeles Dodgers are upping their talks with free agent second baseman Howie Kendrick according to multiple sources. With the offseason winding down, Kendrick is one of the few "name" free agents remaining but he has kept in contact with the Dodgers all along in order to possibly get a deal done to reunite. Analysis: Kendrick is a favorite of ours due to the fact he always supplies positive value in terms of helping in all five standard ROTO categories while coming at a dirt cheap draft price. Christmas came early as Yahoo opened up 2016 fantasy baseball a week ahead of time. Here we go. Head on over and get a team and then come back here for the analysis. When you glance at the two numbers, Player A has more home runs and the much better average while Player B wins out in RBI, steals, and in runs. That would make Player B the guy you would want more on your team but the three categories he wins out on are pretty close to Player A outside of steals. However if I were to tell you that player B has one average drafted in the sixth round of mixed league fantasy baseball formats, you would be shocked to find out that Player A wound up being a late mid round target. This despite the fact their overall numbers are quite comparable. As you can see from the title, we are comparing Player A of Marlon Byrd to Player B being Jay Bruce. It is amazing to see that Bruce has been drafted pretty high in drafts while Byrd has gone in the late rounds. Yes Byrd is ten years older than Bruce but the 12-14 round ADP difference between the two is nutty. We have been saying for awhile now that Bruce is grossly overrated as he damages you in batting average and he is neutral in runs and offers just a bit in steals. Yes the power is good to go along with nice RBI totals but Byrd's power is just as good and has been better the last two seasons. We are not saying that you should be drafting Byrd and avoid Bruce but instead are pointing out an annual draft inequality that exists there. Byrd could fall on his face this season due to age but Bruce will likely continue being overdrafted which is a sizable mistake for you to make this season. Instead avoid Bruce and find some cheaper power guys later on. The Colorado Rockies might finally have found a suitable closer with some youth, while also unclogging what had become quite a crowded outfield when they dealt Corey Dickerson to the Tampa Bay Rays for reliever Jake McGee and some minor leaguers. As always let's dig into the trade and find out the impact on 2016 fantasy baseball. Jake McGee: The Rockies were simply the worst ninth inning team in all of fantasy baseball in 2015 and as a result they quickly signed free agent relievers and former closers Jason Motte and Chad Qualls in free agency. Motte was deemed the favorite for saves based on a decent 2015 return from Tommy John surgery where he saved some games for the Chicago Cubs but his velocity never came back to pre-procedure form. Hence the move for McGee who is a tremendous strikeout pitched who has whiffed 138 batters in 108.2 innings the last two seasons as a part-time closer/setup man for the Rays. With Brad Boxberger cementing himself as the closer in 2015, McGee pitched in setup which made him expendable. Now McGee has the inside track at the closer gig for the Rockies as he is much younger and has the high K rate to be the guy there. Bump McGee up your closer list. Cincinnati Reds catcher Devin Mesoraco will take part in every activity for the team at the start of spring training as he is now 100 percent recovered from 2015's hip surgery. Mesoraco missed virtually all of 2015 after he came down with the injury and made a failed attempt to play through it. He is set to be the primary catcher again for the Reds in 2016. Analysis: There is a very good "buy low" opportunity here on a guy who swatted 25 home runs a short while ago. The draft price is coming down more than a bit as a result of last season's no-show and that puts Mesoraco in good upside territory. The Miami Marlins will give massive strikeout reliever Carter Capps a very long look at closer in spring training along with 2015 holdover ninth inning man A.J. Ramos. Capps posted a silly 16-plus K/9 rate with the Marlins as a rookie in 2015, punching out 58 batters in just 31 innings with a 1.16 ERA. Ramos meanwhile pitched well in replacing Steve Cishek but he struggles with control. Analysis: Capps is worth an add in all formats given his K rate and he should be pushed up more than a little in fantasy baseball closer grids as his stuff is simply too good to keep him out of the ninth inning. It was only a matter of time before the Colorado Rockies traded away an outfielder form among Corey Dickerson, Carlos Gonzalez, and Charlie Blackmon after they signed Gerardo Parra in free agency and that move finally came on Thursday as the team send Dickerson to the Tampa Bay Rays for a package highlighted by reliever Jake McGee. With the Rockies in search of bullpen help all offseason given their massive struggles there all of 2015, McGee was an early winter trade target that took a while to come together. Dickerson will likely bat in the cleanup spot for the Rays as he looks to put an injury-filled 2015 behind him. Analysis: It was just a week ago we did a feature on Dickerson and projected in with Colorado numbers. Now we have to go back to the drawing board there as Dickerson will lose home runs, runs, and RBI in the pitcher's park there. Meanwhile McGee could now be the favorite for saves in Colorado over Jason Motte and Chad Qualls. Finally Brad Boxberger gets a whole lot more leash at closer for the Rays this season. Those are very impressive numbers indeed and Quintana was perhaps at his best in 2015 as he pitched to a splendid 2.95 ERA in the second half of the season. With improving control every step of the way and an increasingly good hit rate to go with solid strikeout stuff, Jose Quintana could put it all together and have big 2016 season that should get him into the Cy Young conversation. As we enter into our 9th season covering fantasy baseball and fantasy football at The Fantasy Sports Boss website, to say we have grown would be quite the understatement. From our annual best-selling draft guides on Amazon and Barnes and Nobles to our appearances on Sirius Satellite Radio, our brand has become a respected outlet in the industry which is due in no small part to all your support. Through that time, we have tried to answer as many daily e-mails and queries as possible but by last season, it became apparent that were getting quite overwhelmed. Getting up to 200 e-mails a day, there simply was not enough time or enough of us experts to go around. As a result, what we will unveil for the 2016 season is a personal advice service where yours truly The Fantasy Sports Boss is here for hire on a one-to-one basis for the entire season for a small fee of $49.99. For the entire spring training and six month regular season, I will personally answer your queries and fantasy baseball questions regarding anything about your roster or anticipated moves. Player evals, injury questions, and personal opinions are all part of it. This will guarantee your e-mails and questions get answered within hours of being asked as we work for you. 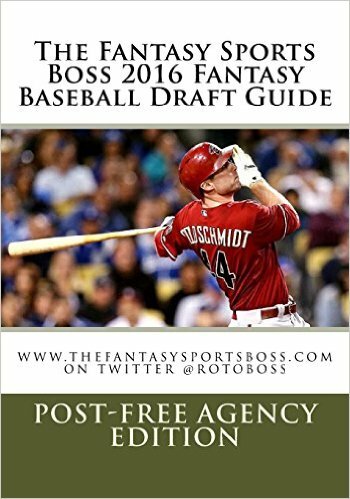 Also included as a BONUS, you will receive an e-mailed version of our 2016 Fantasy Sports Boss Fantasy Baseball Draft Guide: Post-Free Agency Edition FREE (retail value of $21.99). Basically you are getting a season worth of advice then for just $28.00. So if you are interested in getting advice from The Fantasy Sports Boss all throughout the season on a per needed basis, use the BUY NOW tab below to sign up. I look forward to leading your to league winnings. One of our more popular features of the lead up to the new fantasy baseball season is our selection of the “Darkhorse AL/NL Cy Young Award Winner” where we pick a pitcher who is not an obvious candidate for the award but who could come out of nowhere and take the hardware like Jake Arrieta did in 2015 with the Chicago Cubs. With that said, Tyson Ross of the San Diego Padres is our selection for the National League for a few reasons we will discuss. First when it comes to the 28-year-old Ross, he looks to us as the classic case of a guy who is on the verge of Cy Young numbers but who only has to work out some kinks first. Already though Ross has put himself into SP 2 territory with his ERA’s of 2.81 and 3.26 his first two full Major League seasons which are very impressive numbers. Going along with those glowing ERA’s are tremendous strikeout totals of 195 and 212 which scream out “ACE!” However those numbers don’t tell the whole story here as Ross has some of the worst control in all of baseball, leading the majors in walks in 2015 with an unsightly 84. That helped shove Ross’ WHIP to a very ugly 1.31 last season and keep him from a finished product. However as we look toward 2016, it is all there for Ross to be this season’s Jake Arrieta. The power arm is tremendous and he could go even higher with his strikeout total this season as he continues to mature in his third MLB season. Also if Ross could take off even just 20 walks from last year’s total, his ERA could be spectacular since he is among the toughest pitchers in all of baseball to get a hit off of. Consider that Ross gave up only 165 hits in 195.2 innings in 2014 and 172 hits in 196 innings in 2015. He is that good. So again if Ross can cut into those walks even a little bit, his numbers could be silly. That is why Tyson Ross is our choice for 2016 Darkhorse NL Cy Young winner. We once again go back to the sleeper well as we continue with our never-ending 2016 fantasy baseball preview. Today we look at the always frustrating and shallow catching fraternity and take a look at New York Mets catcher Travis D’Arnaud who for the second season in a row makes the sleeper grade. Let’s get right to our reasoning for such a declaration. By now the story has been told more than a few times when it comes to D’Arnaud and his outlook. Having been traded for not one but TWO Cy Young Award winning pitchers, expectations have always been very high concerning D’Arnaud’s ability. After all there has always been a lot ot be intrigued about here as D’Arnaud hits for above-average power and put for the some nice batting averages in the minors leagues. Of course D’Arnaud struggled quite badly during his first foray into the majors like almost every other top catching prospect not named Buster Posey but it seemed the proverbial light bulb went on the second half of 2014 after D’Arnuad fought back from a demotion back to the minor leagues. It was during D’Arnaud’s return with the Mets where he put both the batting average and power skills to work and that set the stage for his sleeper outlook for the 2015 season. As often happens though, things didn’t go according to plan and it was injuries this time that doomed D’Arnaud and not his hitting results. And it has been injuries and constant DL stints that continue to undermine D’Arnaud more than anything and which robs him of continuity both as a pitch caller and with his offense. Despite two more DL stints during the season however, D’Arnaud opened eyes again by cracking 12 home runs and collecting 41 RBI while batting .268 in just 239 at-bats. If you add another 200 at-bats to that ledger, you would be seeing a 20-plus home run catcher which is gold in fantasy baseball parlance and that is the continuing allure when it comes to the outlook on D’Arnaud. What also was a very good statistic that got overlooked was the fact that in 2015, D’Arnaud’s OPS was the second-highest in all of baseball behind Posey. So as we look ahead to the 2016 fantasy baseball season, Travis D’Arnaud once again is one of the most prime catchers in the game in terms of upside and overall hitting impact. The draft price is decent here as well since D’Arnaud has burned more than a few owners along the way with his injuries and inconsistency but that just makes him so much more of a guy to go after this season. It is time once again for another 2016 fantasy baseball Draft Debate where we compare two very similar players and determine which guy should be selected ahead of the other. Today we delve back into the second base position and take a closer look at the Detroit Tigers’ Ian Kinsler and the Minnesota Twins’ Brian Dozier. Both guys are right there in the argument of being the best second base options once Jose Altuve, Dee Gordon, and Robinson Cano are off the board and as always let’s compare the two using the five standard ROTO scoring categories to see who comes out on top. RUNS: Over the last two years Dozier has crossed the 100-run mark on both occasions, while Kinsler fell short in 2015 with a still very good total of 94. On the flip side, Kinsler has the much higher OBP during that time frame and has the better hitters behind in the lineup compared to the barren Twins order. That means this one is too close to call. HOME RUNS: Kinsler’s days of hitting 30 or even 20 home runs are appear to be over as he has been in the teens each of the last three years. Dozier on the other hand continues to get better in the home run department; coming in at 23 and then an extremely good 28 the last two seasons. Clear win for the Twins second baseman. AVERAGE: As easy as Dozier wins in home runs, Kinsler takes it in batting average. In fact it is not even close as Kinsler has gotten better as he has aged in the average department, putting up .277, .275, and .296 marks the last three years. Dozier’s extremely poor K rate on the other hand had prevented him from hitting even .250 in his still young career. STOLEN BASES: Just like with his power, it looks like the steals are drying up for Kinsler as he ages. He still is a help in that category but only in the low-teens realm. Meanwhile Dozier took a very impressive 21 bags in 2014 but slumped to just 12 last season. That still was one more than the 11 Kinsler had last season which gives Dozier the slight nod. RBI: Believe it or not Kinsler has outproduced Dozier in the RBI department the last two years with a total of 165 to his counterpart’s 148. Dozier is hitting in the middle of the lineup for the Twins in a more RBI-conducive spot but Kinsler has a knack it seems for collecting RBI. INTANGIBLES: When there is a tie we go to the intangibles to settle the matter and here is where the line gets drawn. The first issue is that age is a factor here as Kinsler is now 33 while Dozier is five years younger at 28. Dozier is flat in his prime and might have a smidge of ceiling left, while Kinsler’s is close to erosion time as his home runs and steals are dropping. When this factor gets put into the equation, Dozier is your guy. As you can see, this one was extremely close but Dozier’s youth and upside wins out. Kinsler could drop off another level this season as he continues to age and his steals could vanish completely as well. Go with the Twins second baseman. We are up to the second baseman as we continue on with our positions draft primer where we identify which players we are targeting and which players we are avoiding this season. DRAFT PLAN: Second base might pass shortstop now in terms of being the most shallow position in fantasy baseball now that Carlos Correa and Francisco Lindor brought some big-time youthful impact to the latter spot. The fact of the matter is that second base is what third base was a few years ago before that positions own explosion of young talent. In other words this is an aging bunch that has more than a few injury and erosion questions outside of the top two guys Jose Altuve and Dee Gordon. Both Altuve and Gordon are the real deal in terms of being young, superstar-type fantasy baseball impact players but both will cost a ton. While we still stick to our mantra of using your first two picks on a five-tool outfielder and a slugging first baseman, we will make an exception for Altuve in Round 1 given his own five-tool monster ability at the most shallow spot on the field. Gordon meanwhile is more a three-category guy who has to show he can hit for such a high average again. We doubt he could with the latter and this will pass on his second round slot. Jose Altuve: There is simply nothing this 5-7 dynamo can't do as Altuve now includes double-digit home runs to go with his incredible runs scored, stolen base, and average numbers. We said last season that Altuve was a first round guy and he showed in 2015 why that was so. He is even more of a lock for the late first round again this season and is a guy we would take instead of a five-tool outfielder in Round 1. Rougned Odor: There is a lot of hype surrounding the power/speed youngster which might make his draft price a bit too high for our liking but there is no denying the talent. Once Odor worked through his struggles in them minors early last season, Odor came back to the Rangers and was a consistent top-10 fantasy baseball second baseman the rest of the season. Major upside. Howie Kendrick: Still not signed but Kendrick has long proved himself as a very good value play at second base who can help across the board. Starlin Castro: I know Castro has been terrible at times over the last two seasons but a change of scenery could get him refocused. Also Yankee Stadium is a nice landing spot for a hitter. D.J. LeMathieu: Not sure where the draft price will fall here but LeMathieu can help in average, steals, and runs in Coors Field. Joe Panik: The early finish to Panik's 2015 season will help keep his draft price down which is a jackpot for you. This is a lock of a .300 average to go with developing power and good counting numbers. Robinson Cano: While Cano got hot the second half of last season in hitting well over .300, his power was down for the second season in a row which coincides with his move to Seattle and giant Safeco Field. Now in his mid-30's, Cano is heading in the inevitable wrong direction and is becoming more name value than someone who used to supply first round numbers. Jason Kipnis: It is always something with his guy. Either he is hurt, his power drops, his steals drop, the sun is too bright, etc. Kipnis can't seem to ever put it all together and the drop in steals was disheartening last season. Don't buy the lofty average last season either as Kipnis got more than a bit of BABIP luck. With health that is always dicey, Kipnis is a major headache. Brandon Phillips: Sure it was a nice comeback season for Phillips in 2015 when we all wrote him off for good but that just sets him up to be a prime bust for 2016. Now 35, Phillips could fall off the cliff at a moment's notice. Daniel Murphy: Already the short burst of steals from Murphy are gone for good, his power remains only average despite his fluky postseason, and he remains in a prime pitcher's ballpark. No thanks. Dustin Pedroia: Been calling Pedroia a bust for two years now and he has fallen in line with that assessment. Pedroia's slight frame has fallen apart with a slew of injuries like other former top All-Star second baseman with his same body type such as Carlos Baerga and Juan Samuel. Ben Zobrist: A nice player for sure but Zobrist is a better real-life player then a fantasy baseball one as he no longer has shortstop eligibility and his steals are gone for good. One of our more popular yearly features in the Fantasy Sports Boss Fantasy Baseball Draft Guide is our “Ten Burning Questions” section where we try to get some clarity on some of the more pressing issues surrounding the game going into the season. While we can surely sit here all day and answer unending questions about any player or particular subject, these are the topics that we fee need to be addressed the most as you prepare for your draft. 1. Q: It is Mike Trout first and everybody else comes after this season right? A: Mike Trout as the number 1 pick in 2016 fantasy baseball is as close as you can get to a non-debate. While in the recent past a case could have been made for Miguel Cabrera being the top dog, Trout has clearly separated himself from the rest of the pack during the last two years. Other than maybe Bryce Harper, no one is even in the same area code as Trout. 2. Q: With Trout the obvious choice at number 1, who are the other 11 names that should make up Round 1 in a 2016 mixed ROTO league? A: Once Trout hears his name called first, the next 11 guys who SHOULD be off the board in most leagues should include the following: Miguel Cabrera, Clayton Kershaw, Paul Goldschmidt, Jose Abreu, Nolan Arenado, Josh Donaldson, Andrew McCutchen, Giancarlo Stanton, Anthony Rizzo, Bryce Harper, and Manny Machado. 3. Q: Let’s take this one step further. Who would make up the next 12 picks in Round 2? A: The first two rounds are generally the cream of the crop among pitchers and hitters and some of these names are also worthy of going in Round 1 as well. They include the following: Nelson Cruz, Todd Frazier, Madison Bumgarner, Dee Gordon, Jose Altuve, Buster Posey, Adam Jones, Ryan Braun, Carlos Correa, Joey Votto, Justin Upton, and Carlos Gomez. 4. Q: Just how good is Carlos Correa? A: I thought you would never ask. There is not a better young hitter in all of baseball than the Houston Astros dynamic shortstop. Not only is Correa a gem at the most shallow position in the game but his 5-tool ability puts him among the most talented players at any spot on the field. Consider that Correa already has 20/20 ability, with the chance to easily better that in his first full major league season in 2016. Despite only having a half-season of major league play under his belt, we already will proclaim Correa as the number 1 shortstop in fantasy baseball. The kid is that good. 5. Q: How about the sudden explosion of top-shelf third baseman? A: And how. 2016 saw the previously shallow and injury-plagued third base position absolutely take off as five young thumpers put up some monster numbers. Joining American League MVP Josh Donaldson was Colorado’s Nolan Arenado, Cincy’s Todd Frazier, Baltimore’s Manny Machado, and the Chicago Cubs’ Kris Bryant to make third base suddenly one of the most potent spots on the diamond. 6. Q: How much better can Bryce Harper get after his MVP 2015? A: Needless to say Harper was the epitome of a one-man offensive machine in 2015, hitting .330 with 42 home runs, 118 runs, and 99 RBI. When you consider that Harper is still just 23, one can make the case that he is the only possible challenger to Mike Trout as the number 1 overall player in the game. With such a dominant season in the books, it is tough to imagine Harper bettering that production in 2016 and beyond. However Harper cut his K rate from 26 to 20 percent over the last two years and that number can go lower. In addition, Harper won’t reach his power prime for another three years which means 50 home runs is very possible. His biggest challenge other than health is that opposing pitchers will be much more careful around him this season and that alone could lessen the counting statistics a bit. Either way, Harper should go number 2 in all formats this season and is a monster bat even if he simply just repeats his 2016 production. 7. Q: What should be done with the “Wins” column in standard formats? A: We have gone on record too many times to count in pushing for the elimination of the “Wins” category in standard league 5 x 5 ROTO fantasy baseball. There is not a more fluky statistic in the game and one only has to look at how Washington Nationals ace Max Scherzer tossed two no-hitters in 2016, registered a 2.79 ERA, but yet went only 14-12 with his record. Then there was the case of the Atlanta Braves’ Shelby Miller who put up a terrific 3.02 ERA but went 6-17 due to a complete lack of run support from the team’s woeful lineup. The fact of the matter is that the wins column should be replaced by the K/BB statistic which is totally in the pitcher’s control. Guys who don’t beat themselves with walks but yet strike batters out at a high clip should carry extra value in fantasy baseball and that is what this additional statistic does. No longer do you have to pull your hair out when a closer blows a dominant start from your pitcher or rue the fact you own a guy who is an ace hurler who operates on a horrific team and gets no support. Add K/BB to your scoring system and make things even more realistic. 8. Q: What big-name players should we be a bit wary of due to advancing age? A: Age is the unavoidable factor that takes down every pitcher or hitter at some point. The effects can start as soon as a player reaches the age of 30 and its likelihood increases each year that goes by. Every season is littered with big-name players who fell off sharply due to getting up there in age and the negative effects on their value can be very tough to endure for his owners. This season should be no different of course and with that in mind we have identified a few names to be wary of during your draft. Be extra cautious around the following: Adam Wainwright, Russell Martin, Mark Teixeira, Joe Mauer, Ian Kinsler, Dustin Pedroia, Brandon Phillips, Hanley Ramirez, Jose Reyes, David Wright, Adrian Beltre, Jacoby Ellsbury, and Matt Holliday. 9. Q: Any catcher or shortstop sleepers who can help infuse the two shallowest positions on the diamond? A: We are always on the lookout for fresh blood at these two spots and there are some newbie’s to be aware of at your draft who could supply some very solid value. At catcher, you have a veteran comeback case in the Cleveland Indians’ Yan Gomes. Gomes was a budding high-end catcher going into the 2015 season before an early six-week DL stint took him completely out of routine and had him out of sorts when he returned. With 20-home run power and the ability to hit for average, Gomes is a solid comeback candidate. As far as sleepers go, Miami’s J.T. Realmuto and Boston’s Blake Swihart have hinted at top ten ability and both should be squarely on your late round radar. As far as shortstop is concerned, we have a much tougher time identifying undervalued players. While Corey Seager will be the one upstart everyone wants, Trea Turner of the Washington Nationals looks like a better value since his name brand is not as established as his Los Angeles Dodgers counterpart. 10. Q: How does the Fantasy Sports Boss attack a draft again? A: Our tried-and-true methods remain bronzed and pretty much goes as follows: by the end of Round 2, try your best to have a first baseman and a five-tool outfielder. Avoid catchers until the late middle rounds and the same goes for closers. Your first starting pitcher can be taken as late as Round 5 and eve as late as Round 6 given the massive depth among this group. 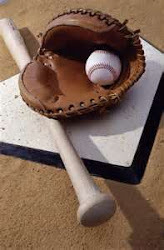 Do your best to have your middle infielders (second base/shortstop) yield a high number of your stolen base and runs allocation, while your corner infielders (first and third base) should supply you with a major portion of your team's power. Finally your second outfielder should be a four-category guy (while trying to avoid poor batting averages) and your third either a power or speed specialist based on how your middle infield looks. If you have more power guys and are lighter on steals in the middle infield (think Robinson Cano/Jhonny Peralta), look for speed in that third outfielder spot. On the flip side, go with power for your outfielder 3 if your middle infield swipes a bunch of bags. While not an exact science, this is how we have won countless leagues for ourselves and hopefully for all of you. First baseman are up next as we continue to preview the upcoming 2016 Fantasy Baseball season by examining which players at each position we will target and which to avoid. DRAFT PLAN: Our tried-and-true method for draft success continues to be using one of your first two picks on a slugging first baseman along with a five-tool outfielder. While there are plentiful power-hitting first baseman, you want to nab one of the stars and then come back here for your UTIL or CI bat. Miguel Cabrera, Edwin Encarnacion, Paul Goldschmidt, Anthony Rizzo, Jose Abreu, Edwin Encarnacion: We lumped all six of these monster power-hitting first baseman in the same grouping as we would be happy with each and every one of them among the first two rounds of the draft. Goldschmidt is the real prize here of course with his silly five-category production and he is well worth the third pick overall in the draft behind Mike Trout and Bryce Harper. Meanwhile Cabrera comes off yet another batting title which shows his swing is just fine. However his home run total continues to slip and health problems are cropping up which is a concern. Guys with the mammoth size that Cabrera carries around don't often age well (Ryan Howard anyone?) but Cabrera at least for another season looks like a good investment. Encarnacion has been a favorite in this corner for years as we were among the few that pegged him as a first round guy three years ago. He is as consistent a power hitter as there is in the game but the steals are now gone for good and he always seems to deal with some physical issue of some sort during the season. Rounding out this group, both Rizzo and Abreu are mid-first round picks who will supply 30-plus home runs and good averages. Rizzo will also do a Goldschmidt-lite impersonation with some stolen bases. Adrian Gonzalez: Love Gonzalez and his ultra-consistency. He is the classic guy who you can write down his numbers in ink and walk away knowing he will get here. Those numbers that get locked in every season are around a .280 average, with 100 RBI and 25 home runs. Also Gonzalez' extreme durability is also a nice bonus. Among the best priced top first baseman in fantasy baseball. Adam Lind: Always love the cheap 20-25 home runs power you get with investing in Adam Lind. Yeah his new locale in Seattle is a bummer but as long you don't play him against a lefty, you will get more than you paid for. Mark Trumbo: Been a big critic of his over the last few years but I will take a stab here if the price is cheap enough since Trumbo will now be going to Baltimore where his home run numbers should soar. Why am I endorsing Trumbo and not Chris Davis when they profile similar hitting approaches? Trumbo comes about 10-12 rounds cheaper. Justin Bohr: The kid looks like another Adam Lind with his underrated power and struggles against lefties. Could be a very cheap 25 home runs and around 80 RBI. Joey Votto: It is not that we don't respect the monster comeback season Votto had in 2015, it is just that the Reds completely stripped apart the lineup around him and so we could be looking at a Freddie Freeman Atlanta Braves situation which we all know is no conducive to fantasy baseball-worthy numbers. Also Votto is not exactly young anymore either and I can't bank on two straight healthy seasons. Freddie Freeman: Honestly I think Freeman is nothing but a UTIL or CI bat at best considering his power has not come around to expectations and the Braves lineup is so bad that under 80 in runs and RBI is likely. Albert Pujols: Again we praise the comeback season in 2015 with the power reaching the 40 home run mark but Pujols' is about as big as health risk as you can get at first base and his average is now very ugly as it settles under .250. Eric Hosmer: Sorry I want 20 home runs from my first baseman and Hosmer is just not that guy. Yes he steals a few bags and can hit .300 which works just fine in your CI or UTIL slot but I want to do better. Chris Davis: There is no chance in hell Davis will hit .260 again this season given his putrid K rate which makes his power numbers a lot less glowing. We continue to advise balance when it comes to any hitter on your roster and that includes not having to make up an ugly average. Carlos Santana: No catcher eligibility=no thank you. Ryan Zimmerman: No third base eligibility=no thank you. Victor Martinez: Yeah we all knew 2014 was a major fluke but Martinez was a complete disgrace last season with awful numbers and health. It took quite awhile but the New York Mets and free agent outfielder Yoenis Cespedes reunited late Friday night to the tune of a three-year deal worth $25 million. While Cespedes didn't get the length he wanted in terms of the deal, he did set an all-time MLB record for average annual salary for a hitter with his $25 million per haul. Coming off a career-year in 2015 that set up the payday, lets take another look at Cespedes and see what he could do for an encore during the 2016 fantasy baseball season. Lots to talk about here from the 30-year-old Cuban slugger and slugger he is as the long ball is Cespedes' clear calling card. The 35 home runs were a career-high for Cespedes and it was doubly impressive when you consider her achieved them in two of the biggest ballparks in the majors in 2016 in Citi Field and Comerica Park. Going right along with the power, Cespedes pulled off the double bonus of reaching 100 in both in runs and RBI which is Jose Bautista territory. With Cespedes going right back to the third or fourth spot in the batting order, he should be a lock for 100-plus RBI and around 100 runs for sure. The home runs? Tough to call there in the sense that Cespedes was clearly locked in aiming for a contract and we have seen countless outlier numbers when money is at stake. Previously Cespedes' high in home runs was the 26 he smacked in 2013 and that number might be more likely then 35. However Cespedes is also flat in his prime and his power is immense so I also have no issues going back to the 30-plus well for a projection. As far as the batting average is concerned, this is where it gets tricky. Cespedes had become a batting average liability since his .292 number in that category as a rookie. In the three seasons prior to 2016, Cespedes batted /240, .269, and 256 which are all very shaky numbers. The big problem for Cespedes has been very high K rates that saw his K rate consistently sit over the 21 mark which is getting up there. Even last season Cespedes had a 20.9 K rate which was offset by a lucky .323 BABIP. Still in Cespedes' defense, that 20.9 K rate is not horrible but it is no terrific either. He does need more BABIP luck like that to be helpful there again in 2016 and so it is not a good idea to bank on that notion. Something along the lines of .275 sounds better. Finally, Cespedes days of stealing bases are over as he took just 7 last season and has not had double-digits there since he was a rookie with 16. In other words, this is a four category low-end outfielder 1 in fantasy baseball and nothing more than this. When you put it all together, Yoenis Cespedes looks like a good pick in the third round of 2016 fantasy baseball draft as a guy who can anchor your power numbers and counting stats this season. While you should never reach for the guy, Cespedes has more than proven his worth since coming into the major leagues a few seasons ago. We now take a look at the National League closers for 2016 fantasy baseball as we continue to bring the new season into focus. New York Mets-Jeurys Familia: Familia was dominant in his first season as the New York Mets closer in 2015 and in actuality he performed like a rock solid top five guy among this always volatile group. Atlanta Braves-Arodys Vizcaino: Jason Grilli could be a factor again but the much younger hard-throwing Vizcaino is a better bet. Decent late round sleeper closer pick. Miami Marlins-A.J. Ramos: Ramos has a very good strikeout rate and locked down 30 saves last season in repalcing Steve Cishek as the Miami closer. Walks a bit too many guys but Ramos is the firm ninth inning option for the team with little competition to threaten him. Philadelphia Phillies-Hector Neris/David Hernandez: Your guess is as good as mind as far as who the Phillies will turn to at closer after moving Ken Giles. They could go youth with Neris who was decent in 2015 or turn to veteran David Hernandez who has had an ERA over 4.00 the last two years and is no longer the fireballer he once was. Washington Nationals-Jonathan Papelbon: The veteran Papelbon is still getting it done as he has been as good as any closer in the game the last two years after it looked like he was on the fast track to retirement. Pittsburgh Pirates-Mark Melancon: Almost lost the role in April last season before performing statistically as the best closer in baseball the last five months. The velocity is leaking a bit which is somewhat concerning and could be why the Pirates peddled him during he offseason. St. Louis Cardinals-Trevor Rosenthal: Massive velocity here and Rosenthal looked so much more comfortable his second season closing games for the Cardinals last season. Walks somewhat an issue but Rosenthal looks like a top five closer to us. Milwaukee Brewers-Wil Smith: With Francisco Rodriguez shipped off to Detroit, lefty high-strikeout setup man Wil Smith should be next in line. Smith looks like the very best closer value play based on his potential. Chicago Cubs-Hector Rondon: For some reason Joe Maddon played around with Rondon last season but his numbers were excellent most of the year. Seems safe now as the Cubs' closer for 2016 but with Joe Maddon you never know. Cincinnati Reds-J.J. Hoover: With Aroldis Chapman now in New York with the Yankees, young and hard-throwing J.J. Hoover is ready to ascend to the closer spot for the team. Looks capable but you never know with these things. Los Angeles Dodgers-Kenley Jansen: Gets a new leash on closing life after the Dodgers pulled out of the Aroldis Chapman trade talks. As good as anyone in the game but health woes continue to undermine him. San Diego Padres-Kevin Quackenbush: Quackenbush is another sleeper closer who has the makeup and stuff to succeed there but it comes down to his mental makeup. San Francisco Giants-Santiago Casilla: You never feel totally comfortable with Casilla as your closer but for now he is the guy. Strap yourself in however. Colorado Rockies-Jason Motte: The veteran Motte should havet he inside track to the closer role for the Rockies who were disgraceful there last season. Motte has lost more then a little velocity since TJ surgery and the ballpark remains scary. Draft as one of the last closers off the board. Arizona Diamondbacks-Brad Ziegler: The suubmarine thrower doesn't measure up in the strikeout department but his numbers have been stellar since becoming a regular. The New York Mets continue to engage in talks with free agent outfielder Yoenis Cespedes, with reports now indicating their willingness to offer an opt-out after one-year on a contract. The Washington Nationals reportedly offered Cespedes a five-year deal but the Cuban slugger prefers to stay with the Mets if a deal can be reached. Analysis: The Mets are starting to respond to the threat from the Nats and iti s telling that Cespedes didn't jump to accept their offer of five years given the security it would bring. Cespedes sounds like a guy who wants to go back to New York and who is willing to taek another crack at free agency in 2017 after one year like with what Nelson Cruz did with the Baltimore Orioles in 2014.